Nordic Tattoo: Tattoo tools from the viking age? 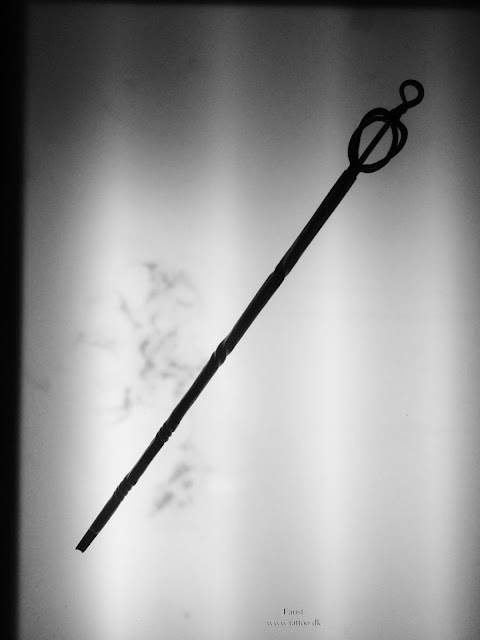 Tattoo tools from the viking age? Object was bend when put in the grave to make it unusable, we find habits like that still in Tuva, f.ex., where the shaman s drum gets destroyed when he or she dies. In Kunsten på Kroppen we always research, to built up background in order to serve our clients and the art of tattooing optimal. So I came across these staffs, that are mainly found in rich women graves, along with weird things like a nose ring, white face paint, henbane, hemp seeds, crossdressed corpses, brutally slaughtered horses and so on. Some of the wand carriers were tied on their chairs in the grave. The wands are made of wood, others from metal. A couple of them are tapered. To me as a tattoo artist i couldn´t resist thinking about Yantra tattoo tools like they´re used in South East Asia still today. 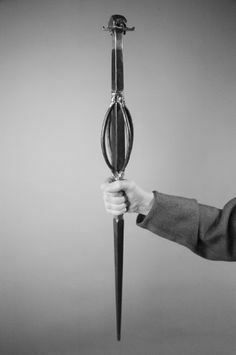 In one of the sagas a Volva gets hit with her own staff, which leaves a gashing wound, so that thing was sharp! In Siberian iron age cultures special women were responsible for tattooing. So I got my friend David to make me one of them. David is one of the last german traditionally educated blacksmiths with great experience and knowledge. His smithy lies in the entrance of a man made cave, that was once built for the very first rocket engine experiments. A slice of an old german tank barrel. He hand forged all that to a perfect, very strong tool and I really enjoy working with it. Here you see me working with the staff, surrounded by brothers from Germany, Ukraine and Borneo.